Pictured left to right: Carol Mayes, O.P. ; Eleanor Cresap, O.P. ; Annette Dworsky, O.P. ; Ceil Roeger, O.P. ; Pat Casey, O.P. ; Kristen Houle, Executive Director, TCADP; and Dave Atwood. The David P. Atwood Founder’s Award was presented to the Dominican Sisters of Houston at the annual Texas Coalition to Abolish the Death Penalty (TCADP) conference held in Houston on February 20. The Award was established by the Board of Directors of TCADP in 2010 in honor of Houstonian David Atwood, who founded TCADP 20 years ago. The sisters were early member of TCADP and helped to coordinate vigils on evenings of execution. At the 1997 Chapter, the Dominican Sisters adopted a corporate stance against the death penalty. This was followed by opportunities for study and advocacy. They host events on the death penalty featuring Journey of Hope-From Violence to Healing an organization led by murder victim family members and others with firsthand experience with the criminal justice system. The sisters support TCADP’s Religious Outreach programs, including an Interfaith Statement of Opposition to the Death Penalty. 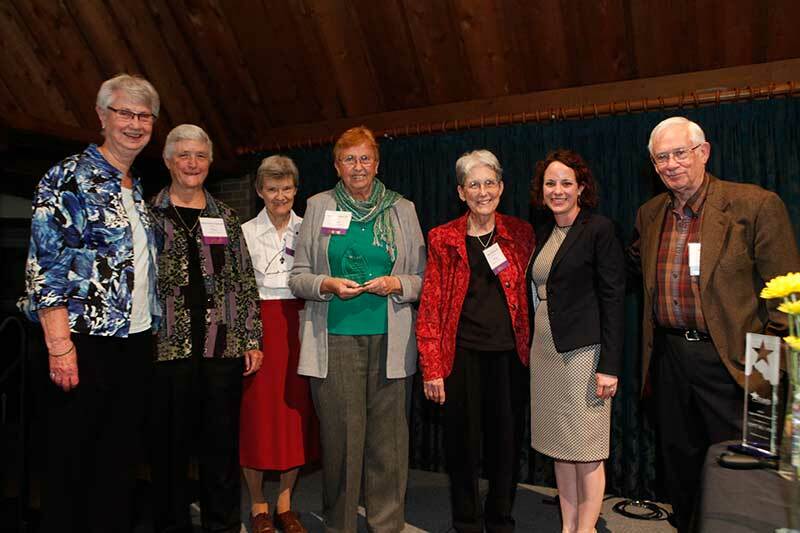 The Award honors those who have made a lifelong commitment to justice and was presented to the sisters in gratitude for their longtime support of TCADP. Srs. Carol Mayes, Pat Casey, Annette Dworsky, Eleanor Cresap, and Ceil Roeger represented the congregation and accepted the Award.